Oh feel free to email him at any time. He loves getting message of support at any time of the year. LOL I sure send him messages here and there for various things like birthdays and anniversaries, etc. etc. The messages themselves have be short since the Takasui mail form only recognizes 250+ characters.. I think it's 250.. it will flag you if it's too long. I use English and they use their translator to figure out what I mean. Then they send it to him wherever he is. As for ANW.. I figured it was too expensive to do so in such short notice.. then again.. they didn't have the ratings they wanted.. they were still dead last in cable television. I asked him if that has changed and I got an answer but Google is not liking it. I'll post it once I get a better translation but it looks like he's not going. 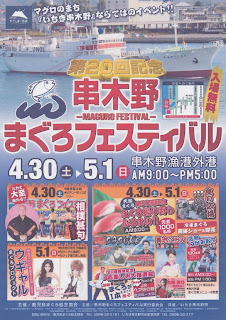 It's because of Nagano that I got my life together in terms of physical health and live a much more active lifestyle- no joke! Nagano inspires me so much! Let's BOMBARD HIS INBOX WITH MESSAGES OF SUPPORT! In other news, I went to Anime Boston this past weekend and am happy to report that someone (a fan) did a panel on Sasuke and it's Legacy. Although I couldn't forgive him for referring to Shunsuke as "Shun-sookie", I have to give him props for spreading the knowledge (homie broke it down from the physics of the obstacles to competitors stats- everything!). A large group of people showed up to so glad to know love for Sasuke is going strong! Now I'm reaaally curious about the NBC acquiring Sasuke. ...NBC? Oh boy. This is getting really interesting. Glad to hear something about 27 though - even if I find it weird too that Nagano hasn't heard jack yet. 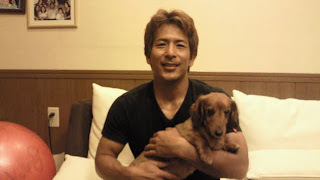 Oh speaking of Nagano - I want that dog!!! Dammit.. it's not Sasuke coming to NBC.. it's friggin' ANW..
Company email is the best hands down. They take your message in any language .. run it through a translator then send it to his phone. Love Nagano but he's not the most tech savvy person in the world.. even by his own admission he's internet illiterate. So yes please use the form on the Takasui page. First section is your name. Second section is your email address. Third is your message (must be 200.. something characters so you have to keep the message short. Use simple sentences that won't screw up when the translator hits it). Once you are ready hit the first button (that's send) the 2nd one is "redo" (it will just delete what you wrote). Once all that is done it can take as little as 2 hours to a week to get a reply. All depends when the office gets it.. where Nagano is (if he's way out at sea he won't even get a cell phone signal) and how busy he is. 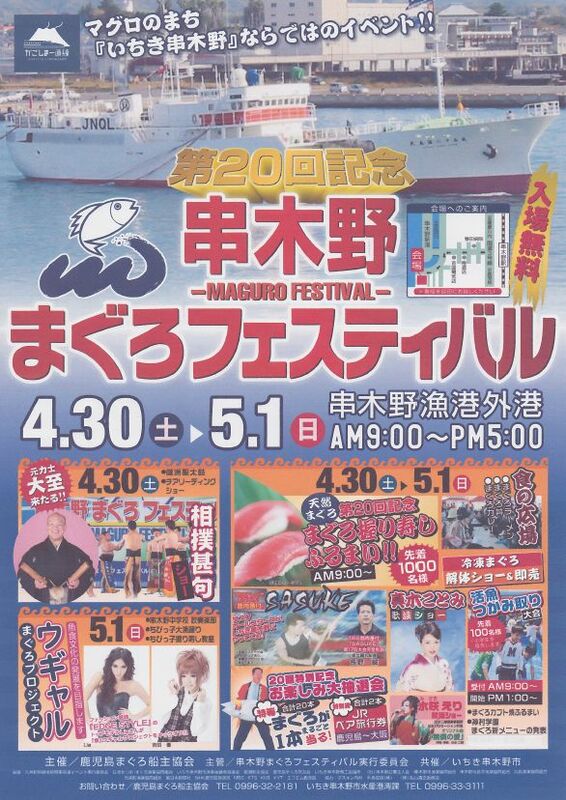 Tomorrow he will be setting up for the Maguro Festival which stars on Saturday. If you get a reply let me know :) He's usually pretty cool with replies. I like the worldwide lottery idea you have. Personally what they are doing is giving me a bad taste in my mouth. I think it's disgraceful to use the tragedy of Japan to get yourself on a gameshow. I think they tried to do something but linking the two is just horrid. Lily looks like my wiener dog Sweety, I think we should have named here "Killer", cause she's psyco, and if she don't know you, she don't like you. LOL Rob I know a lot of toy size dogs that have baaaaaad tempers. This one looks docile..
Oh cool UK thanks for checking on that :) I'm sure he appreciates your support! In a couple of days I'll post the full English Lyrics. Not sure if I can post the romanji (helps when karaoke since I can't read kanji). I'll check up on that.